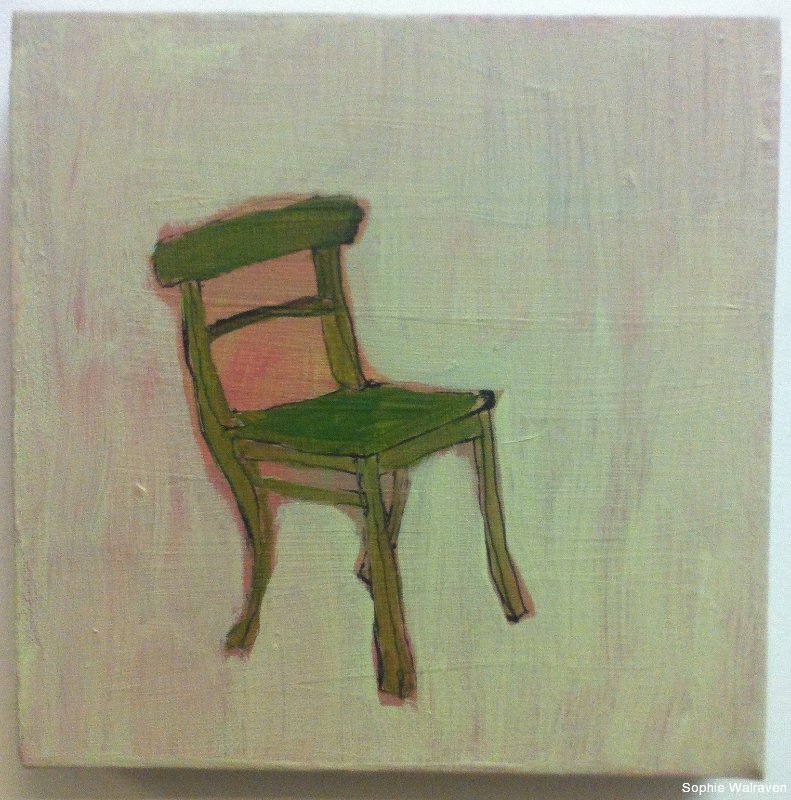 Tiny little painting of a tiny little chair. Acrylic and ink on canvas, 7.9×7.9″. Acryl en inkt op canvas, 20 x 20 cm.